The Wabash Trace Nature Trail is a Rails-to-Trails Conservancy Hall of Fame trail located in southwest Iowa in an area known as the loess hills. Found only in this part of Iowa, the adjacent portion of Missouri and parts of China, loess hills are a formation that has resulted from wind-deposited loess soil. These hills rise 200 feet above the prairie lands and form a narrow band running north and south.  The loess hills are part of what makes the Wabash Trace trail one of the most amazing trips in Iowa. Formed of a converted railway bed that was the former home of the Wabash Cannonball of song and story, the north end of the trail and the loess hills form a dramatic backdrop for the journey from Council Bluffs to Blanchard. Expect wildlife encounters and secluded woodland scenery as you ride along this challenging trail. Beginning in Council Bluffs, the trail head is located at Iowa West Foundation Trailhead Park and soon links up with the Valley View Trail for the journey north. The Lake Manawa Trail is next, which takes riders west around the lake it is named for. The next portion is the most populated and the most difficult, with six miles of gentle climbing as you head southeast. This is the portion that riders will experience the loess hill formations and some of the most well preserved native prairie and mature woodland areas in the state. Keep an eye to the sky for red tailed hawks, who make their home in this area. Next is Silver City which is one of few locations on the trail with facilities for riders to fill their water supply. There are also small retailers and a bike shop, but don’t miss the Silver City Centennial Park which is located along the trail. At the 22 mile mark, the Malvern trail head offers water and parking and the town is welcoming to trail cyclists in the cafes, shops and retail stores. Check out the city square, dedicated to the trail visitors and featuring interesting artwork. Imogene is the next city on the route, where the trail head offers restrooms with showers, an unpaved parking lot, picnic facilities, bike rack and primitive camp sites. From here on, the trail has a country road feel, with farm land in the distance as far as the eye can see. Riders will cross Keg Creek, Silver Creek, Little Creek and the East Nishnabotna River as well as Deer Creek, Hunter Branch and other little creeks and streams. Journeying further south takes riders through Shenandoah, Coin and Blanchard to the Missouri border, where the trail ends. The journey is very rural, so riders are urged to pack plenty of supplies, sunscreen, bug spray and a first aid kit. A day pass is required to use the Wabash Trace Nature Trail.